Starting in November of 2014, I started posting a series of ramblings and musings that I’ve pondered over the years. It got such a great response that I fleshed them out to the point where I had an entire year’s worth – thus, the first #thinkin calendar was born. Words can’t describe how excited I am to see this past year’s labor of love come to fruition with my first #thinkin calendar. I signed the first 750 of them, so get one right away before the signed ones are gone! 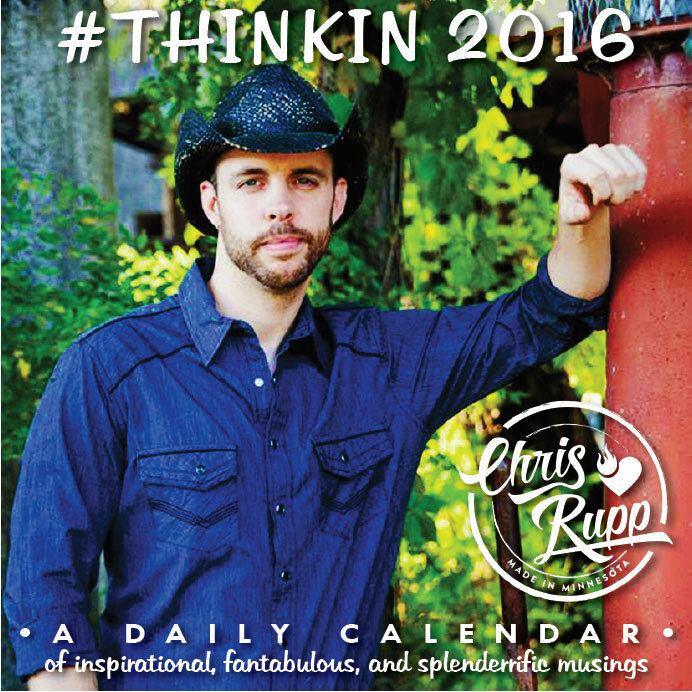 BUY THE #THINKIN CALENDAR IN MY STORE! Would you like to submit a photo? Please fill out the form at the following SECURE link to submit your photo to be used on my website and/or printed materials and merchandise. Thank you. I have the greatest fans in the World!